If you’re one of the 60 million people in the US that suffers from allergies, chances are excellent that you recently have been or soon will be greeted with that familiar runny nose, itchy watery eyes, sneezing and congestion. Because there are several safe, natural and very effective ways to get relief besides resorting to antihistamines and steroids (and all the side effects that go along with them). They also help beef up your friendly gut flora (where most of your immune system is) which in turn can help sharpen your immune function and aim to reduce the “over-reaction” your body produces with allergies. Super Shield's 13 strains of potent, well-studied bacteria can help support proper immune reactions, and help your body effectively break down all of the substances you ingest—both food and allergens. Many allergy sufferers have reported tremendous relief from their symptoms with acupuncture. This is likely due to the fact that acupuncture helps balance the energy flow through your body, and that includes your immune system. 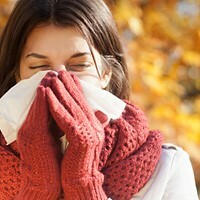 Fabrics like wool can trap allergens like dust, pollen and animal dander. So each time you wear your favorite wool sweater or jacket between dry cleanings, you can be setting off your allergies and not even know it. Plus synthetic fabrics like polyester and nylon can create an electrical charge which can attract dust and pollen. During high allergy time, stick to machine washable fabrics like cotton, and be sure to wash your clothes after each wearing. Also, use cotton sheets on your bed and launder them in hot water. Salt water is very effective at removing allergens from your nasal cavity and loosening mucus. Neti pots are becoming very popular, but many people still swear by good old-fashioned saline nasal sprays. Contact lenses can cause dust, pollen and other allergens to be trapped in your eyes, which can clang your allergy alarm. Soft contacts are especially guilty, since they are more permeable than hard lenses and allow substances to seep through. So if you’re a contact lens wearer, try to wear your glasses on bad allergy days or invest in some daily wear disposable lenses during your tougher times. Some people are very sensitive to the sulfites in red wine and beer—so if you have found your allergies are worse in the morning when you’ve had alcohol the night before, that may be why. If you have pollen allergies, the theory behind this idea is that eating honey produced by bees in your local area can help relieve allergies because the bees transfer pollen from the local plants to their honey…so you can become “desensitized” by eating a little of the honey every day. While studies don’t support the effectiveness of local honey for allergies, some people have sworn by it. My opinion? If you use honey in your tea or cooking anyway, give it a shot. It certainly can’t hurt and you’ll be supporting local merchants if nothing else. Spicy foods like chili peppers, Dijon mustard, fresh garlic, onions and horseradish can have a decongestant effect. Plus they are alkalinizing to your body which can support its cleansing and detox efforts. 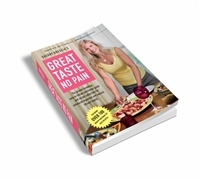 If you need some ideas for yummy dishes featuring these healthful spicy foods, check out Great Taste No Pain. Just like clothing, your skin and hair can also trap pollen, dust and other allergens—and they can taunt your body while you sleep and practically guarantee you’ll be stuffed up in the morning. Try bathing or showering in the evening instead of the morning, or at least wash your face and hands and brush your hair before bed. Because when you take natural measures to help your body tackle the challenges of allergies, chances are excellent you might see YOUR symptoms greatly subside or possibly diminish altogether. PS: Remember--our new multi-vitamin formula Super Core is coming soon! Be on the lookout for this awesome new product! 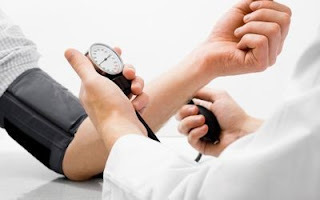 Can this help lower your blood pressure? About one out of three of us has high blood pressure, and those numbers aren’t going down. So naturally when studies are done that show certain measures may help lower your blood pressure, many people are all ears. But remember, not every study is what it seems…and many of them can be misleading. 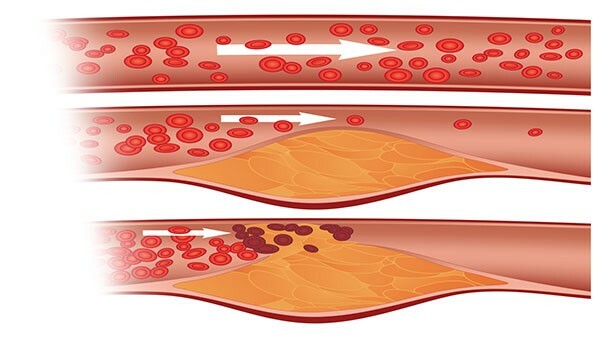 A recent “meta-analysis” (a review of previous studies on an issue) reported that removing meat from your diet can lead to blood pressure reductions similar to losing five kilos (about 11 pounds) of body weight. In addition, as compared to blood pressure drugs, a vegetarian diet was found in this study to be about 50 percent as effective for lowering blood pressure. It was not made clear what type of vegetarian diet was responsible for these results, and the term “vegetarian” can have a variety of meanings. Some eat fish and/or poultry, but no red meat. Some eat non-flesh proteins (dairy and eggs) but no flesh of any kind. The more strict level of vegetarianism (vegan) avoids all animal-derived products, including meat, poultry, eggs, dairy and even honey in many instances. 32 of the 39 studies reviewed for this meta-analysis were observational. That is, the researches relied on a dietary history provided by the study participants. I don’t know about you, but I know many people who can’t even remember what they had for breakfast this morning, let alone their daily food intake for a period of time. Plus the actual protein levels consumed by the participants were never directly measured…so we’re talking guesstimates at best. The more you guess, the more reliability goes out the window. In addition, just like all vegetarians are not created equal, neither are all meat eaters. It does not appear that the analysis drew any distinctions between non-vegetarians who ate small amounts of meat with lots of vegetables and those who chowed down a 24 oz. porterhouse with a mountain of French fries. Clearly those two different versions of “meat eating” would likely produce vastly different health results! Another major issue is that important lifestyle factors were not taken into account. Things like exercise, smoking and alcohol intake are extremely important considerations for hypertension risk, yet they were not even tracked, so their presence (or lack thereof) could most assuredly skew the results. What ARE you eating as a vegetarian? One point that frequently gets ignored when talking about vegetarian diets is: What ARE you eating instead of meat? A truly healthy vegetarian diet concentrates on eating a wide variety of vegetables, as well as whole grains and plant-based sources of amino acids (like legumes and quinoa) to help ensure your nutritional needs are met. Unfortunately, this is where many vegetarian diets go south. Many non-meat diets are instead very high in refined carbs (pasta, rice and bread) which create a surge of glucose flowing through your bloodstream that can irritate the inner lining of your blood vessels, eventually leading to or worsening hypertension! In addition, although there are non-animal sources of vitamin B12 (such as certain forms of algae and Crimini mushrooms), the B12 found in algae is not a form that is bioavailable for your body, and the B12 level in mushrooms is extremely low. Therefore, vitamin B12 deficiency is common in vegetarians…and unfortunately this deficiency also raises your risk of heart disease because you don’t have the necessary B12 to counteract homocysteine in your blood. Plus unless they are organic, many of the meat and dairy substitutes that are popular with vegetarians are highly processed foods that contain GMO soy…and time will tell what the “Franken-proteins” created by playing God with food will do to our bodies. Whether or not you choose to have animal-derived foods in your diet is entirely up to you. A health-supporting diet is based on REAL foods—fresh vegetables, fruits, legumes, whole grains and healthy fats—plus whatever meat, poultry, fish, dairy and eggs you wish to consume. And regardless of whether or not you eat animal foods, you should limit your intake of refined carbohydrates—white bread, rolls, bagels, cookies, pastries, white rice, pasta, snack chips, crackers, etc. Now for you meat eaters: You may not be aware of this, but a healthy serving of meat is about 3 ounces (or a piece the size of a deck of cards). So if you’re regularly getting FAR more than that, it’s time to cut back. For you vegetarians: Since you’re not getting animal sources of vitamin B12, chances are good that you may be running low in this essential nutrient. Not only can this raise your heart disease risk, but it can also affect your brain and nervous system functioning and leave you with very little energy to boot! Plus B12 absorption in the GI tract can many times be limited, so even if you eat meat, you may be getting far less B12 than you think. Regardless of your diet, a great way to make sure you’re getting what you need that’s both convenient and easy to use is Hydroxaden 2.5! Hydroxaden 2.5 is a B12 spray that you simply spritz right under your tongue every day. From there it can get absorbed through the mucus membranes in your mouth, thereby bypassing any shortcomings in the GI tract. Having a health-promoting diet is extremely important, but you also need to make sure you’re properly assimilating and absorbing those nutrients you’re getting--and that depends on how good your digestion is. So to ensure that your body gets the nutrients you need AND can use them, it's crucial to have a diet that your body can more easily digest and features a variety of nutrient sources. Great Taste No Pain not only gives you several delicious ways to get a wide variety of nutrients, but it also guides you on the right foods to pair together for more comfortable, thorough digestion and better nutrient absorption. Plus you also have to have the enzymes for the job…and if you’ve had a less-than-stellar diet or have taken acid reducers for a while, your body may have trouble producing enough for your needs. If you think inadequate enzymes may be a concern for you, an enzyme supplement like Digestizol Max can be just what you need. Digestizol Max's blend of 14 plant-derived enzymes and 5 soothing herbs will give your body a welcome boost and help ensure that everything you've eaten is broken down like it should be. And note that since Digestizol Max’s enzymes are all plant-derived, it’s suitable for vegetarians and meat eaters alike! I know I must sound like a broken records, but if you want anything even remotely resembling good health, you MUST exercise. And no, I’m not talking about 12 oz. curls. You don’t have to get fancy—numerous studies have shown that even brisk walking can help lower blood pressure (and help those excess pounds slide off too, which further lowers your hypertension risk!) and nearly everyone can do that. Just be sure to get your doctor’s OK, especially if you and the couch have been BFFs for a while. Know this: Even if you are already on high blood pressure drugs (or other medications) you can make a tremendous difference in your health through the right diet, supplementation and exercise. It’s never too late to get healthier. If I were to ask you why fiber is important, you’d probably say it helps keep you regular. That’s true, but fiber’s important jobs go way beyond more regular calls from Nature. And unfortunately, many people’s sources of fiber aren’t ideal…and can actually do more harm than good. Let’s look at fiber’s career history, all the ways it helps make a healthier you, and the best ways to make sure you’re getting enough. Back in the 1970's researcher Dr. Denis Burkitt observed that rural Africans eating their traditional diet had almost no colon cancer, constipation, diabetes, diverticulitis, heart disease or IBS. On the other hand, Africans consuming a modern Western-type diet suffered from all of those problems. He saw a similar situation when comparing hospitals in India and America. In a hospital in India, he found that there were virtually no cases of hiatal hernia, yet hiatal hernia affects nearly one out of three Americans over age 50. Plus the rate of appendicitis in the American hospital was 50 TIMES what it was in the Indian hospital! Dr. Burkitt concluded that the large amount of fiber in the African and Indian diets was the reason for the dramatic differences…and lo and behold, the fiber craze was born. A whole lot more than keeping you "regular"
In the decades since Dr. Burkitt's research, we've learned a lot more about the health benefits of fiber. Insoluble fiber is like a broom to your gut. Your body doesn't digest it, but it helps "push things along" and keeps your colon very healthy. This type of fiber is typically what is responsible for improved BMs and fewer symptoms of bowel issues like Crohn's. Insoluble fiber is found in the outside layer of grains, in the skins of most fruits and vegetables and in the long, stringy strands found on celery. Soluble fiber is in the "meaty" part of fruits and vegetables as well as in beans, legumes and psyllium seeds. It's the kind of fiber that is associated with lower cholesterol, blood pressure and diabetes. Your digestive enzymes don't actually break down soluble fiber--the friendly flora in your gut does that job. You get an added benefit here too--when your beneficial gut bacteria break down soluble fiber they release short-chain fatty acids. These fatty acids help keep your colon wall strong and can also help protect against cancer. Semi-soluble fiber is part of the cell wall of carbohydrates from plants like asparagus, chicory, leeks, onions, Jerusalem artichokes, flaxseeds and psyllium husks. Semi-soluble fiber can help latch onto and remove dangerous heavy metals from your body that you take in from food and the environment. It also can be a source of nourishment for your friendly flora. Back in the 1800's the average American ate 25 to 30 grams of fiber a day naturally from their diet, and at that time conditions like diverticulosis were unheard of. Now? We're lucky if we get a meager 14 to 15 grams a day. No wonder we're blocked up, bloated and are the leaders of the free world in gut problems. At least one out of every four Americans has a digestive disorder and those numbers continue to climb. We need more! But what and how much? Clearly it's no secret that we need fiber. But deciding where to get your fiber is where people can run into trouble. Fiber can be found in a variety of fruits, vegetables and whole grains. But some people would rather stick needles in their eyeballs than to eat a fruit, vegetable or a "grain" other than white bread. Still others don't want to be bothered taking the time to prepare fresh foods. So what do they do instead? Take Metamucil® of course! That should do the trick, right? Metamucil® (and similar products) is a psyllium husk-based laxative. Each dose contains 3 grams of fiber (about the same as an apple) which is far below the recommended daily intake of 25-30 grams. And regardless of its fiber content, it nonetheless is a laxative which can not only be habit-forming but also make your intestines sluggish and eventually make it difficult to have a bowel movement without it. General Mills and Kellogg's hit the mother lode when the fiber craze began. 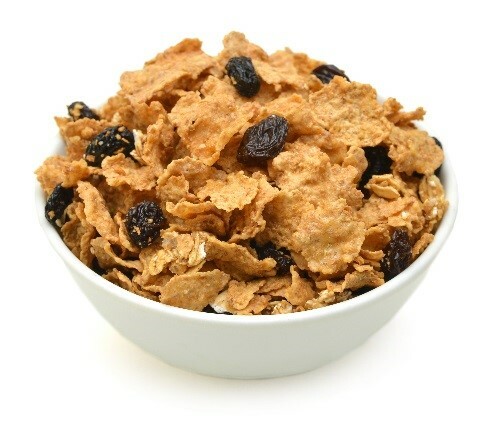 After all, it gave them a very profitable angle to use in marketing their processed breakfast cereals by actually making them appear healthy in another way besides the added-in synthetic nutrients, because now they could use the “good source of fiber” angle too. Here’s the truth: Cereals such as these are not only loaded with refined carbs (which contribute to insulin resistance and obesity, are nutrient poor and feed harmful microbes in your gut), but they only contain about 3 grams of fiber—again, about the same as an apple and far less than what you need. The importance of fiber can't be questioned...but it's essential to get yours from real foods like fresh fruits and vegetables. They're loaded with fiber and nutrients in their natural form that are best absorbed and utilized by your body. And they come with their own naturally occurring enzymes to help the digestive process along too. If you're ready to begin your journey of getting the fiber (and the nutrients) your body needs, the Great Taste No Pain system is just what you need. Great Taste No Pain shows you what foods to eat (and what foods to pair together) to help encourage smooth digestion and efficient nutrient absorption. Plus it's loaded with delicious recipes featuring fiber-rich real foods that you'll absolutely LOVE. The vast majority of people using Great Taste No Pain report seeing signs of health changes like more regular BMs, less gas and bloating and even weight loss, and are they ever excited when that happens! Like I said above, your friendly gut flora breaks down soluble fiber. But if you don't have a strong or healthy enough population of beneficial bacteria to do the job, you may not get all the benefit of that fiber--and instead may end up with gas! The good news is that there is a lot you can do to help make sure your intestinal flora is healthy and strong. First and foremost, a diet of real foods like fresh vegetables is a must. Your friendly flora is nourished by foods like these. And a top-notch probiotic like Super Shield multi-strain probiotic formula can help too, especially if you’ve had a diet of refined foods for quite a while. Fiber is an undisputed health dynamo that you can't afford to be without. And when you get the natural sources of fiber that your body so desperately needs and can actually use that fiber, you can reap the long list of health benefits for many years to come. Mental health problems are on the rise, not only in the US but around the world. According to the World Health Organization (WHO), at least one in 10 people suffers from a mental health issue, and one in four will be hit by one in at some point in their life. And when you’re talking mental health issues, most people think medication and psychotherapy. But there is a little-known and frequently ignored underlying cause of many mental health issues, and all of the antidepressants and counseling in the world can’t change that. See if it may be affecting you or someone you love. If so, welcome to our modern day world of mental health issues and challenges. At least one in ten of us suffers from a mental health problem, despite the fact that there’s no shortage of antidepressants, tranquilizers and antipsychotic medications out there, and increasing numbers of people are seeking psychotherapy. So where are we missing the boat? The answer lies in our diets. One of the biggest disservices in the treatment of mental health issues is the fact that nutrition is frequently overlooked as a significant cause of those issues or worse yet, it’s considered unimportant to mental health! 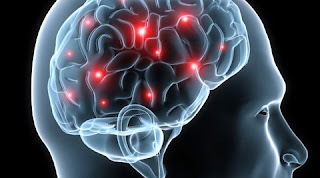 Every single function your brain performs—your thinking, feeling, mental energy and ability to focus and remember—happens across an intricate network of interconnected brain cells, each one of which depends on the right nutrients to work efficiently. Simply put, not only can you say you are what you eat, but you also think what you eat. And you can change how you think and feel by changing what you put in your mouth. Your brain consumes more glucose than any other organ in your body. Any imbalance in your brain’s glucose supply can cause fatigue, irritability, dizziness, insomnia, excessive sweating, poor concentration and forgetfulness, depression, crying spells and blurred vision. Basically, the more carbohydrates you eat, the better your glucose supply and the better your brain works….but note that all carbohydrates are not created equal. The best sources of glucose for your brain are complex carbohydrates like whole grains, lentils, beans and vegetables. Stay away from refined carbs like sugars and white bread. Sixty percent of your brain is made up of fat, and these fats must constantly be replenished. Deficiencies in essential fats have been linked to depression, dyslexia, attention deficit disorder, fatigue, memory problems, Alzheimer’s and schizophrenia. Plus optimal amounts of fats are essential if you want to maximize your intelligence! The first two types can be synthesized by your body, but the Omegas have to come from your diet. Most of us have very little trouble getting adequate Omega-6 fatty acids because our typical diets are inundated with these fats. Where we fall short most times is with Omega-3 EFAs—especially the super important EPA and DHA. The primary source of these fats is fresh fish, and that’s simply not something the average person eats on a daily basis. And that’s why supplementing with a fish oil formula like VitalMega-3 can help ensure you have optimal levels of this crucial brain nutrient! Every 2-capsule daily serving provides 600 mg EPA and 400 mg DHA, which is well above the 200 mg. minimum of each fat suggested by experts for proper brain function. At the same time, it’s also important to avoid excessive amounts of meat, deep fried foods, sugar and alcohol, as well as smoking, stress and obesity, as these can all affect your ability to convert and use essential dietary fats. Phospholipids serve several crucial functions in your brain and nervous system. They are insulators, helping to make up the myelin sheath that protects your nerves and helps your brain signals travel along smoothly. They make acetylcholine, which is your brain’s memory neurotransmitter. They enhance your mood, mind and mental performance. They protect against age-related mental decline and Alzheimer’s disease. Although your body can make phospholipids, getting them in your diet helps ensure you have enough. Good sources of phospholipids include eggs, organ meats, fish, liver, soybeans, peanuts and other nuts. Interestingly enough, amino acids (the building blocks of protein) work similar to psychiatric drugs—without the side effects! Adrenaline, noradrenaline and dopamine stimulate you, motivate you and help you deal with stressors. GABA (gamma amino butyric acid) relaxes you and calms you down after stress. Serotonin keeps you happy and improves your mood. Acetylcholine keeps your brain sharp, improving memory and alertness. Melatonin keeps you synched with day and night (thereby helping sleep) as well as the seasons. Neurotransmitters are made from amino acids…so your levels of certain amino acids in turn affect your levels of specific neurotransmitters. For example, serotonin is made from the amino acid tryptophan, so eating sources of tryptophan like turkey can improve your mood…without the dangers of an antidepressant! GABA is made from glutamine (found in meat, milk, yogurt, cheese, spinach, tomatoes and cabbage) so having enough glutamine can help chill you out—Nature’s version of an antianxiety drug! Getting a wide variety of protein sources—both from plant and animal foods—is essential to having proper levels of neurotransmitters. Here are other brain-loving nutrients, what a deficiency can cause, and the best ways to get what you need! Give yours what it needs! If you want to sail into your golden years with a strong memory and sharp mind, it’s vital to make sure your brain is getting the nutrients it needs. Stay away from the processed and fast foods and properly nourish your body…and MIND! PS: We will releasing our brand new multi-vitamin formula “Super Core” this fall! More details to follow soon!